Three recent events in Israel’s largest universities demonstrate academic and security institutions are actually increasing their cooperation. Why do Israeli academic institutions cooperate so closely with Israeli security institutions? Both the Israeli academic elite and the Israeli security elite have more than enough reasons to be at odds with each other. The security elite is suspicious of academics, because of their perceived “human-rights” bias, and because academia is busy elevating theory and abstract research above the hands-on experience of which the security elite is very proud. When Israeli former Chief of Staff Dan Halutz closed the military’s Operational Theory Research Institute (OTRI) in 2006, it was a spiteful act motivated by fear of military officers starting to quote Deleuz and Guateri, Foucault and otherwise “going native” in academia. The academic elite, likewise, feels the brunt of the international academic boycott, and has much to lose from accumulating the image of nothing more than an R&D annex to the Israeli military industry. However, the two elite groups now share a common enemy as well, the quickly rising Israeli populist right. Politicians like Minister of Culture Miri Regev, Minister of Defense Avigdor Lieberman and above all Prime Minister Binyamin Netanyahu make no effort to conceal their scorn of the “old elites,” mainly identified as Ashkenazi Jews (originating from Europe or North America) embedded in the old Labour Party and in institutions which rely on public funding, such as academia, the military and the police. Funding for higher education in Israel has been increasingly diverted away from research universities and towards colleges (which focus on undergraduate degrees and on marketable professional training) because the Israeli populist right considers academia to be “lefty.” Less known among activist circles is that the Israeli public expenditure on security, although still among the highest in the world in terms of proportion of GDP, has eroded as well. Compared to nearly 15% of the GDP spent on defence in 1988, expenditure in 2017 was recorded (albeit with gross underestimation) at 4.7% of GDP. Both of these trends show how the control of the old elite groups on public resources is diminishing, not in absolute terms but in relative terms. 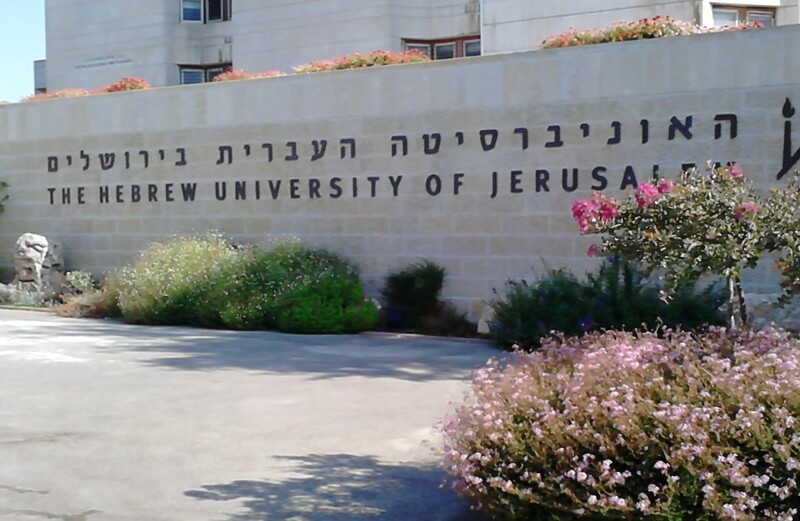 Three recent events in Israel’s three largest universities demonstrate that despite mutual distrust and competition over resources, academic and security institutions are actually increasing their cooperation. The first happened in the Hebrew University of Jerusalem, as the university hosted a recruitment event for the Israeli Security Association (ISA), also known as the “Shin Bet,” “Shabak” or simply the secret police. Activist Ilana Hammerman attended the event and reported about it, exposing how the university shamelessly offered a space for a publicity event for one of Israel’s most dangerous and unscrupulous organizations, involved in torture, the recruiting of collaborators and more. The second event was that Haifa University won the tender to organize higher education for the military. Special curriculum is tailored by the university for military officers in order to enable them to attain academic degrees with minimal disruption of their duties related to the occupation. Thanks to Haifa University’s program, they would be able to arrest Palestinians without a trial, order the bombings of civilian neighborhoods and establish arbitrary criteria for the checkpoints, but still find the time to hear lessons and take tests. Haifa University has earned the right to manage three military colleges: the National Defense College, the Command and Staff College and the Tactical Command College. Unifying the three colleges under the academic supervision of Haifa University creates a direct responsibility for the university over the training and education of the Israeli officer corps, and the first courses open in July 2018 already. The third event was the joint venture capital fund of Tel-Aviv University with the ISA, to support security start-ups. The cooperation between the ISA and Tel-Aviv University means that the ISA will gain access to technologies which allow control of populations, using money from the university investment fund and the university’s academic reputation to give the start-ups an extra air of respectability. According to a joint statement by the ISA and Tel-Aviv University from July 3rd, four of the start-ups which received funding include a start-up which identifies “fake news,” an artificial-intelligence program to analyze videos and documents, a virtual-reality technology intended to be used in the remote steering of drones and a start-up which offers predictions based on big data and machine learning. The three recent events indicate that the complicity of Israeli academia in Israeli colonialism and apartheid continues, even thirteen years after the Boycott, Divestments and Sanctions (BDS) call resonated the recognition among Israeli academics, that because of this complicity Israeli academics become pariahs. I believe that the three events have something in common. The security services produced in all of the three examples are intended for internal consumption by the Israeli security organizations. Since 2014, there has been a growing crisis in the Israeli arms export because the concept of the Occupied Palestinian Territory as the “laboratory” for Israeli military technology is collapsing. Despite the shining and expensive technologies developed by the Israeli arms companies and used against Palestinians in Gaza and the West Bank, Palestinian resistance has not stopped or slowed down. The weapons simply do not deliver on their promise to pacify the Palestinians, and as such they are not as attractive to potential customers as before. A similar crisis is developing in the Israeli academic elite, which becomes ever more aware of the impact of the BDS movement. Young and talented educated Israelis are leaving the country in large numbers, seeking to study, research and teach elsewhere. Although the government launched a program to entice scientists and R&D personnel to return, scholars understand that if they return and find employment with an Israeli university, they run the risk of cutting themselves off from the international research community.